Last Friday I had the pleasure of attending the Modcloth "Elegance for All' Pop-up Shop event. 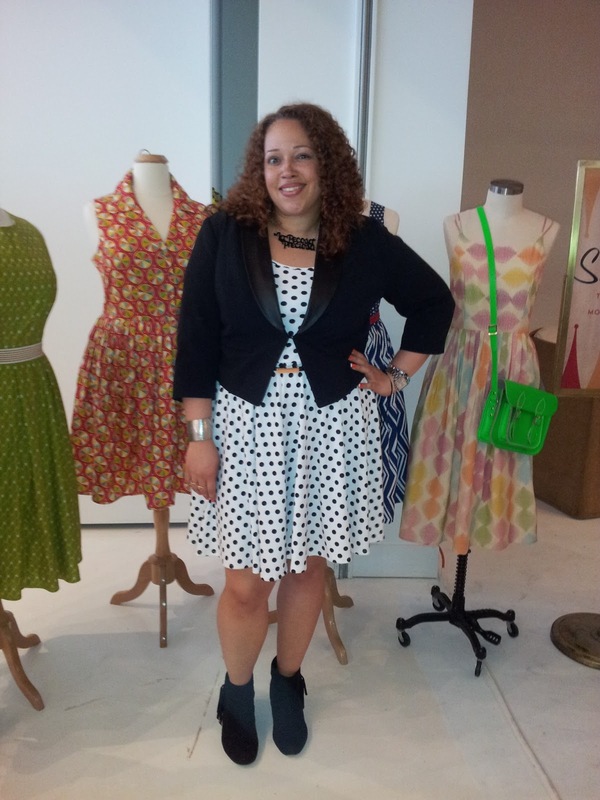 They were celebrating their new plus size collection, which was a total delight! Everything was so prim and pretty, I literally wanted to buy everything I saw but I restrained myself to just one skirt. They were also offering cute little cupcakes and champagne to everyone as well. 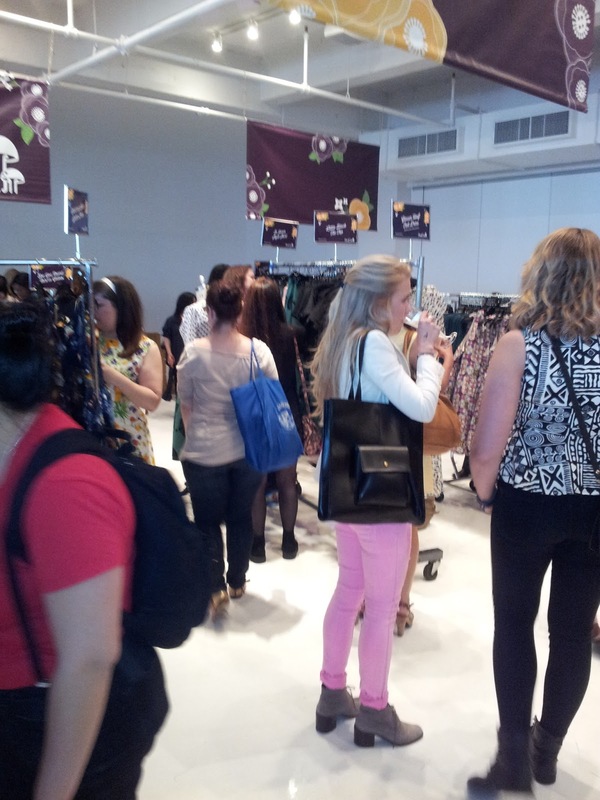 The place was pack with women swooning over all the gorgeous clothing, chatting, trying on clothes and just enjoying the moment. As for my outfit, I decided to go with a dress that was very Modcloth looking, my white and black polka skater dress from Pay/Half, I paired it with my cropped tuxedo jacket from Forever 21 and my Fringed Booties from ASOS. Despite the fact that I wanted to buy everything they, I was a good girl and only purchased their "See you round" skirt. Of course I fell in love with it the minute I saw it, it has polka dots! You also got a cute Modcloth tote bag with your purchase. I also had the delightful pleasure of meeting the adorable Jessica Torres from the blog Tiny Red Shoes. She is such a sweet young lady and her style is amazing, you must check out her blog. Please excuse the quality of the pics, I wasn't using my Canon Rebel but my Canon Point and Shoot as well as my cell phone. I tried to take as many pics as I could of the clothing so you could see what Modcloth has out there for sale. 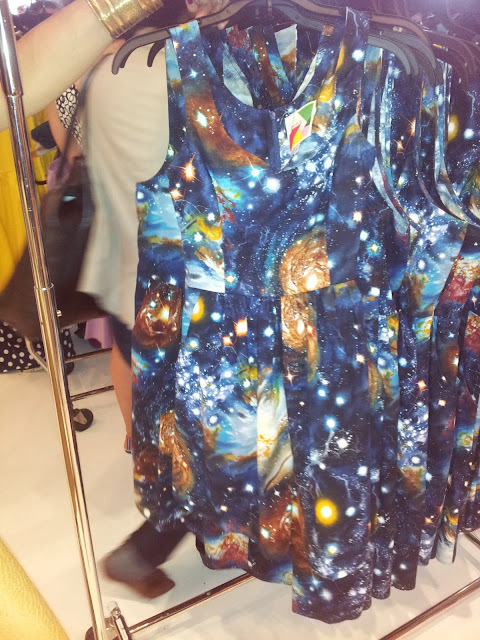 Had a ton of fun at the event and can't wait to see all the other beautiful things that Modcloth will coming out with for their plus size line.